USCSS Nostromo, ready for launch! If you are like me, you sometimes wonder exactly what the Nostromo might look like if set down in some familiar place. 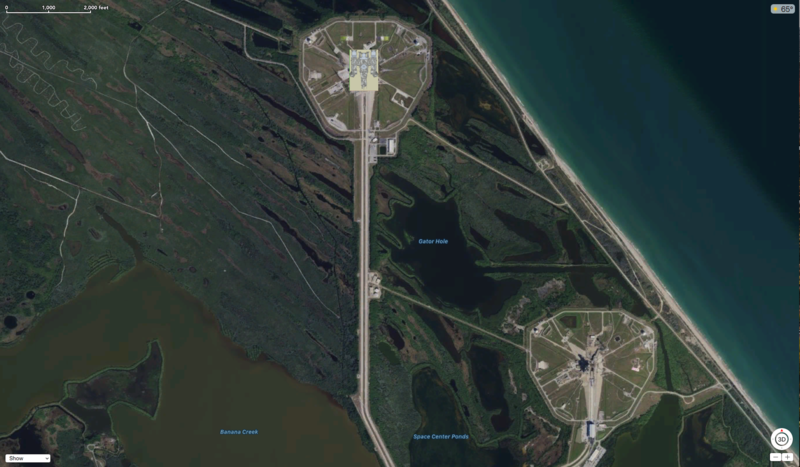 In this fanciful photo edit, I have shown the ship, poised for launch, at Kennedy Space Center, Launch Complex 39, Pad B.
I have to guess that the alligators, roseate spoonbills, and wood storks around KSC would be in for a rude awakening when those lifter quads kick off! Previous Adam’s Nostromo set plans & models. Next ALIEN – O 8.º Passageiro is released in Portugal on this date in 1979.